For the longest time, my main reason for holding off on a new 4K television has been a lack of available content. 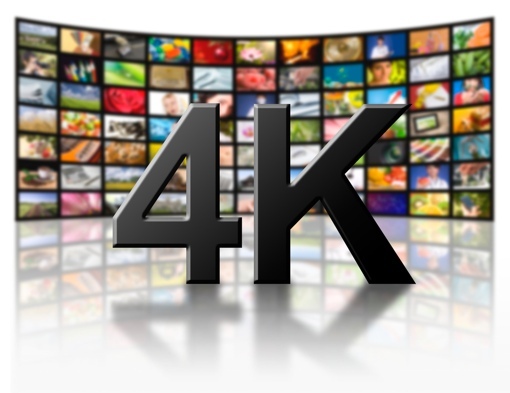 There aren’t a lot of cable channels available in 4K resolution yet. Netflix offers an incredibly limited selection of 4K streams and charges you extra to view them. And I haven’t owned a device capable of shooting 4K video, so I can’t even create content to view on my own. However, we’re getting to a tipping point in terms of content availability. Amazon has just announced that its Amazon Prime Instant Video 4K streams will be going live for Amazon Prime members by the end of the year. And, they will be free to access through Prime. YouTube is streaming in 4K, and there’s a growing library of fun, free content to watch there too. And, I know even more content is going to be coming fast down the pipeline. Indeed, the 4K content pipeline is looking very promising. What’s not looking so promising is the state of our nation’s cable infrastructure to deliver the minimum data speeds required to support 4K video. The average Internet connection speed in the U.S. is just 11.4 Mbps; you’d need about 25 Mbps to stream 4K. Most people only have access to one cable company capable of delivering that kind of speed, and it’s often cost prohibitive to buy where available. Compared to Asia and Europe, we Americans get speeds that are far too slow at prices that are far too high. I don’t have access to 25 Mbps home Internet service yet, and neither do my parents – they’re stuck using 3Mbps DSL. That technology may upgrade to support 4K speeds by 2016, but for now, I don’t think a 4K television will be on my family’s holiday shopping list. None of us have the home Internet network to support it.